Every single one of Mighty No. 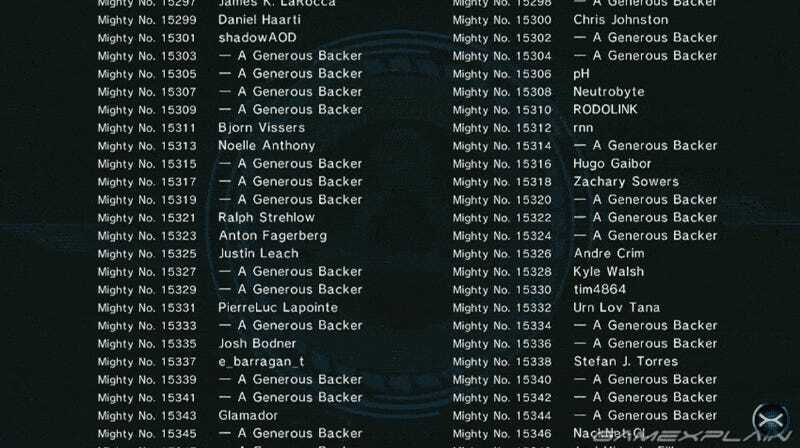 9's backers on Kickstarter are listed in the credits, and a whopping 67,226 different people helped fund the game. In order to watch the whole credits scroll by—I feel bad for anyone whose name is towards the bottom—you’ll need almost four hours take it all in. There should be an achievement for watching the whole thing!